Imagine going to a dentist and not wanting to leave their office. No really, this does exist at least for my children. 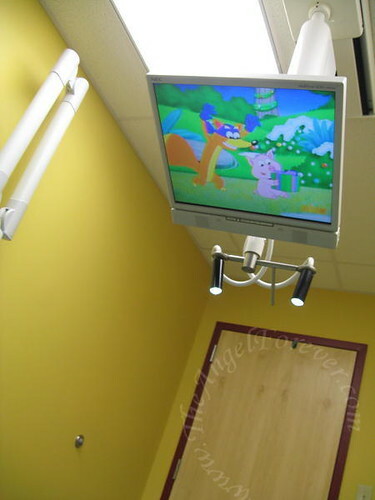 Growing up, I went to a pediatric dentist. 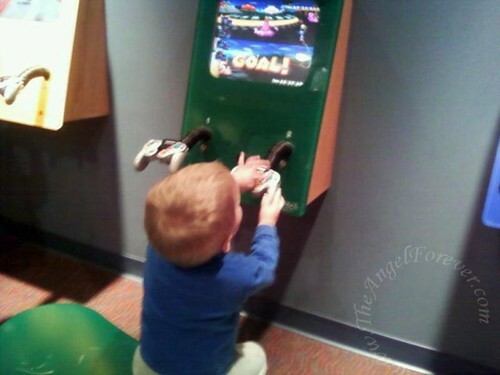 He had a fun office with video games upstairs in the waiting room, and more fun downstairs. There was even music to listen to if you needed to have something worked on. I still remember listening to music and then realizing that if I opened my eyes and looked at the reflection in the light I was able to see what was being done – yikes! 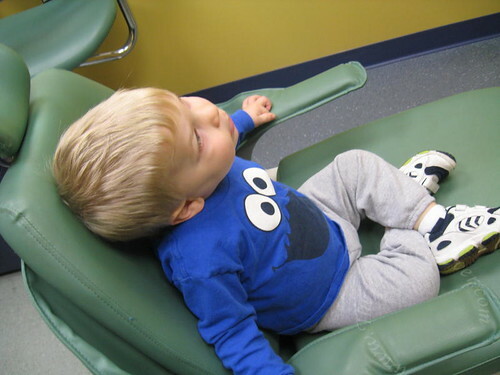 The boys have been going to the dentist since they had teeth. Actually, for JSL he has been going longer. His first appointment was when he was only weeks old. Thanks to this experience at the office and watching TechyDad and I at the dentist, the boys are pretty good about dental visits. Of course, the office that we go to certainly helps. Aside from having three amazing dentists that are fabulous with the boys, the office is just plain fun to go to. I wish I had time to explore more of the fun and games each time, but the kids won’t let me. Here is a little tour. Sorry for the quality of some of the photos. A few were taken with my cell phone before I bothered to take my camera out of the bag. Before we are called back into the room, JSL plays in the kids gaming area. 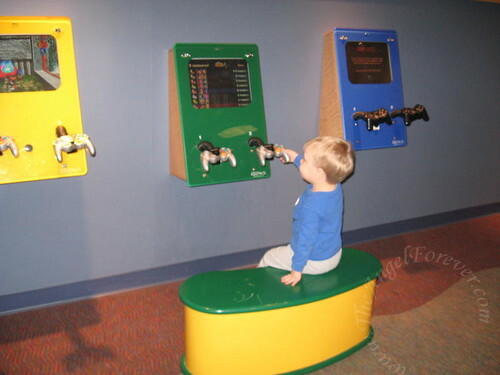 There are several stations set up with video games. I am particularly intrigued by the touch screen option that has a bunch of educational games, but JSL had no interest in that. He preferred to "play" Mario Kart. Then it was time to play with some other options. He also enjoyed the other area that has a giant ball maze on the wall (not shown). 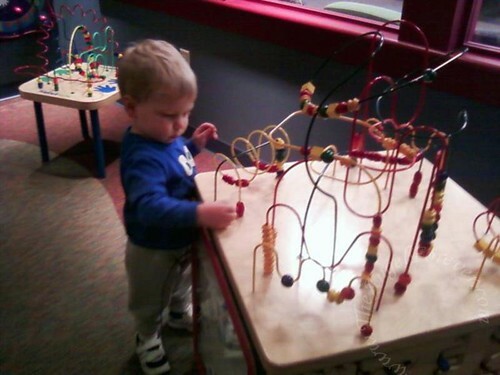 This kept him quite busy until we were called back. Not the best of movies, but Dora kept him quite happy. See, here is happy JSL waiting to see the dentist. The little guy is used to the routine here. What is not to like here? The rooms are colorful, cheery, big, and have movies to keep the kids occupied before, during and after the exam. 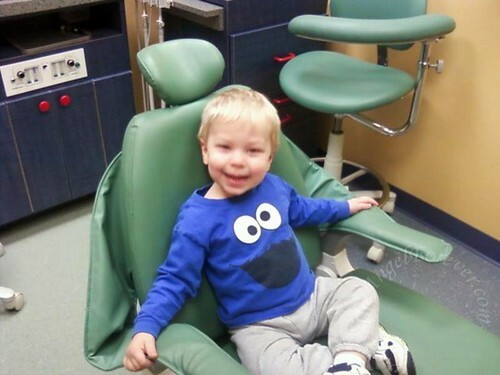 Most of the dental equipment really blends in and the kids (and parents) hardly focus on it at all. When the dentist came in, JSL was great. He opened his mouth nicely and let him do the exam. He mentioned that, according to the report from the other dentist (6 months ago), it looks like JSL’s binky bite is correcting itself. He asked if JSL was using his binky less. Yes! We had gotten rid of it, but illness allowed it to sneak back for our sanity. Dr. J was not worried in the least. He said to keep up what we’re doing with the less binky, great brushing and fluoride drops. Of course, when he asked JSL questions there was no answer. The little guy was a little too involved with Dora. Eventually, it was time to leave. There was much protesting, but I reminded JSL that we were off to pick our a new Hot Wheels car for being such a great big boy at the dentist. Special thanks to Dr’s N, J & J for having such a fabulous practice for the kiddos to learn about proper dental care. We will see you in a few months for NHL’s next visit. Don’t you wish you could go to a fun dentist like this too? I know I’m pretty jealous of my two boys! That’s insane! I STILL hate to go to the dentist. Funny that they protested your departure. Hopefully they will look forward to going back. .-= RobMonroe´s last blog ..Thanksgiving! =-. Now that is a dentist office. Can i come? 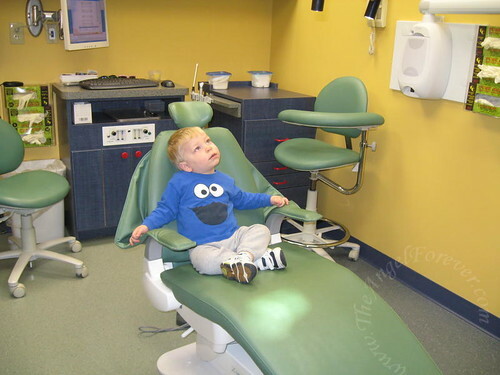 I have to go to the dentist … REALLY have to … and I would SO love to go to an office like that!!! .-= Lisanne´s last blog ..Partying after the sun goes down =-. That is the most amazing dentist office I have ever seen It makes me want to go there. The best our office has to offer are coloring books! Your baby is just so adorable! Gosh what a fun office! Oh but again I’d be paranoid about how much germs is left on them by others. lol I know I’m weird huh. .-= JamericanSpice´s last blog ..WW: It’s art and it’s beautiful! =-.